It looks like rumors of Steve Rogers' demise may have been exaggerated. Just last month, Chris Evans tweeted that he had wrapped filming on Avengers 4 and, given his phrasing, many expected that his days as Captain America in the Marvel Cinematic Universe were done. But not so fast. 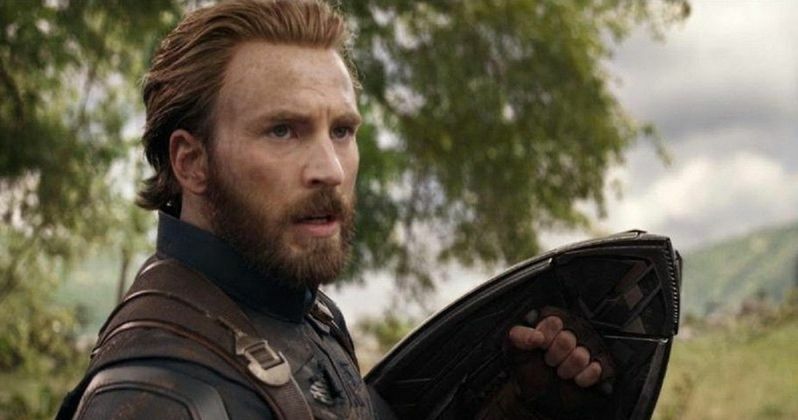 Now Avengers 4 and Infinity War co-director Joe Russo has weighed in, offering fans hope that we may see more of Evans yet. To be fair, even Chris Evans offered some clarification on his tweet later, as many took it as a spoiler that Captain America was going to die in Avengers 4. Evans stated that he was just having an emotional response to concluding his work on that movie and that his response would have been the same no matter what the outcome. What Joe Russo had to say in a recent interview actually may be even more interesting with that in mind. Here's what the director had to say when asked about that tweet. "I think it was more emotional for him than us because he's not done yet. And I won't explain what that means but audiences will soon understand what I'm talking about." Joe Russo and his brother Anthony Russo have worked with Chris Evans more than anyone else in the MCU, as they directed both The Winter Soldier and Civil War, in addition to the two Avengers movies. So they probably have a very good and close relationship going at this point. And they probably are qualified to weigh in on the emotional weight of Avengers 4 and how that would affect Evans. They're also clearly at least a little plugged into the future of the MCU, which may well include more Steve Rogers, based on these comments. Unfortunately, without further context, it's hard to say exactly what that could mean. Marvel Studios is remaining rather tight-lipped when it comes to their future movie slate, as they're doing everything they can to avoid spoiling Avengers 4 for fans. What we do know is that the movie is likely going to involve some time travel in order to undo what Thanos did with his deadly finger snap. Could that lead to more Captain America somehow? It's also worth mentioning that Chris Evans' contract with the studio is up. Should Marvel want him to come back, they'll have to renegotiate and that will surely come at a high cost. Another point is that certain Marvel characters, such as Loki, are getting shows on the Disney+ streaming service starting next year. This could present an avenue for Steve Rogers to make an appearance. All we can do is speculate for the time being, but it sounds like we haven't seen the last of Evans in the MCU. We'll certainly be seeing more of him in Avengers 4, which is set to hit theaters on May 3, 2019. This news was first reported by USA Today.